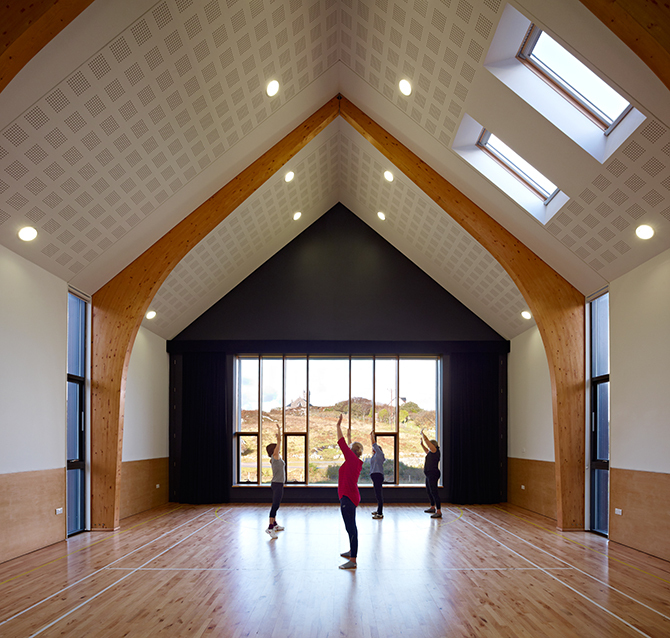 Our main hall makes the perfect setting for a range of functions and events such as Ceilidh dances, wedding receptions, performing arts, conferences, craft fairs, lectures, indoor sports, cinema screenings, parties and catered events. The stage area is fully fitted with professional sound and light equipment including mixing desks. The hall has a capacity of 135 for receptions and meetings, or 269, theatre-style, for concerts and performances. Check availability or see the Events page for more details on the range of events we host.